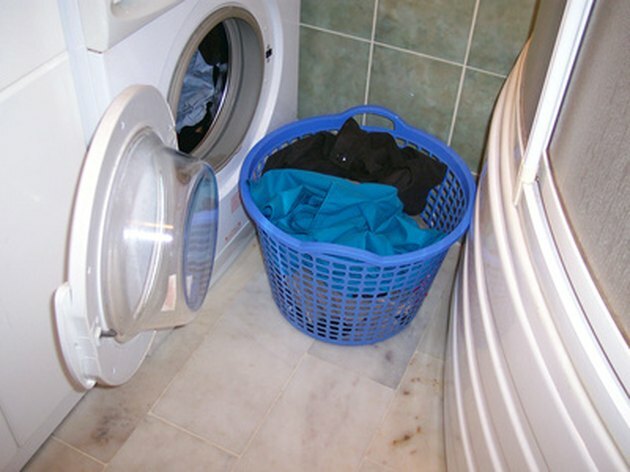 While Maytag dryers are generally reliable, parts sometimes wear, tear and break over time. Whether you’re changing the dryer belt, replacing the motor, changing out a seal or replacing the control panel to the unit, you will need to take the appliance apart. Taking a Maytag dryer apart is not very difficult, and can be done in less than 20 minutes with the right tools and know how. Taking your Maytag dryer apart will give you access to all of the key components. Unplug your Maytag dryer from the wall outlet in your laundry room. Pull the dryer away from the wall slowly so you have just enough room to get to the back of the unit. Locate the exhaust hose attached to the dryer’s exhaust vent. Pinch the clamp holding the exhaust hose to the exhaust vent and slide the exhaust hose off of the unit. Get behind the dryer and remove the six to nine screws holding the back panel onto the unit casing. These will be in different places, depending on your Maytag model. Once the screws are out, pull on the back panel to release it from the unit casing. Remove the screws holding the control panel to the dryer’s top panel. There will be three of these screws on the left, right and middle of where the control panel meets the dryer’s top panel. Remove the wire connection going to the control panel from the dryer with your fingers. Press down on the plastic locking tab’s top to release it from the control panel. Remove the control panel from the top of the unit once the wires are free. Open the Maytag dryer’s door and find the four screws on the inside of the door’s opening. Use a screwdriver to remove the screws from the lip of the dryer’s door. Lift the top panel of the dryer off of the unit’s casing. Set the top panel aside. Pull on the front panel of the dryer to free it from the casing. Remove the screws on the bottom of the side panels inside the dryer, then lift them up out of the casing. Once you remove the side panels, you will have access to every component on the dryer.